I am evaluating this software at this moment and most of things seem to be fine. However, there is one small issue. I would like to reset the quota on hourly basis, but BWM only has the choices of daily/weekly/monthly. Is there any way to reset the quota hourly? No (unless you want to do it manually). Just choose a stream and click Reset Usage as shown below. Be careful as it will delete all usage data for that stream. 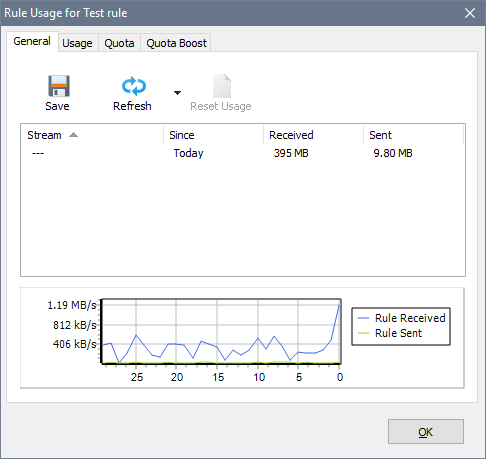 It may be better to add a quota boost instead of resetting.